C.P. Gajurel, 59, is a politburo member and chief of the foreign affairs bureau of the CPN (Maoist) party. In August 2003, while he was attempting to from to London from Chennai airport with forged travel documents, he was arrested and spent three years in jail in Chennai. Following the second People’s Movement of 2006, and the entry of the Maoists into mainstream politics, he was released from jail in December 2007. Since his release, he has traveled internationally, raising awareness about and seeking support for his party. Gajurel spoke with Aditya Adhikari and Kosh Raj Koirala of The Kathmandu Post on Oct. 23 about the new government, the ideological tussle in his party, and its relations with other parties and neighboring countries. This report appears courtesy of Maoist Revolution. Today I visited Patan, the ancient town adjoining Kathmandu, to look at the sights. By the temples I was approached by two girls, selling bags, who talked to me about the significance of the different buildings. They seemed to know a lot about the temples so I asked them to be my guides. One girl is a Hindu aged 15 and the other a fourteen year old Christian. 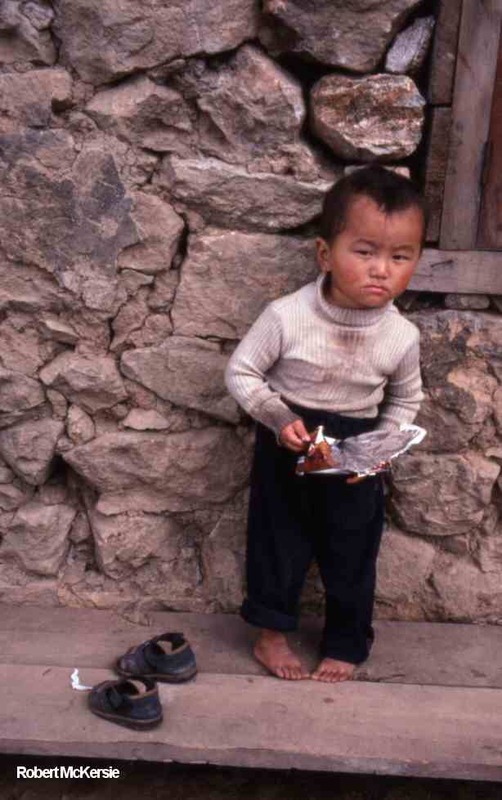 The children here look to Western eyes a lot younger than they really are because a poor diet limits their growth. These two looked more like ten to eleven year olds to me. They were cleanly and attractively dressed. Both are living independently. In the first case her mother died and her father remarried but she was badly treated because her father is an alcoholic. So she left home. The younger one’s father is very old and is unable to look after her. She was living in Terai with her mother but some armed bandits came and demanded possession of their house. Her mother resisted and was shot dead. 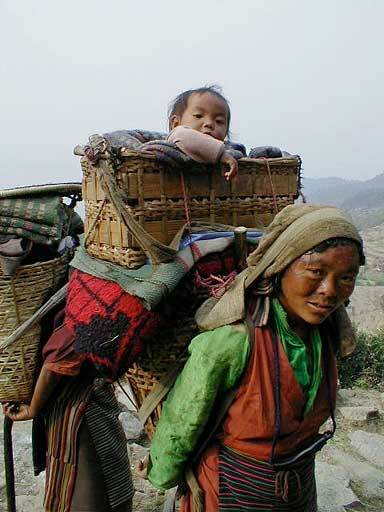 Then her daughter came to Kathmandu. Below are three short articles from the new issue of Red Star, # 17. They are all relevant to discussions on the path to bringing radical changes to Nepal, the struggle in the new government, and the creation of the new constitution. They are shown with their original titles. PM Prachanda has reiterated his commitment to declare programs to make people feel the change in the near future. PM Prachanda said that public private partnership is the suitable model for economic development but he clarified that it will go forward on the basis of ‘our own needs and values.’ He further added “we want to create a new model for economic development.” The CPN-Maoist has been advocating the PPP model of the economic development for some time. Below are three short articles from the new issue of Red Star, # 17. They detail some threats to the CPN(M) coming from other parties and the threat of foreign intervention, and issues around the integration of the PLA into the Nepali Army. These articles point to the difficulty of making revolution and the necessity of having state power. They are shown with their original titles. In the meantime, as the NC is talking about rebellion, the YCL (Young Communist League) has captured two persons in Katmandu Valley in the day time. YCL has handed the two persons over the police in Lalitpur district. One of them is the resident of Katmandu and the other is from Orissa, India. It is a big challenge to the peace process. The CPN-Maoist is being disarmed and others are arming themselves. 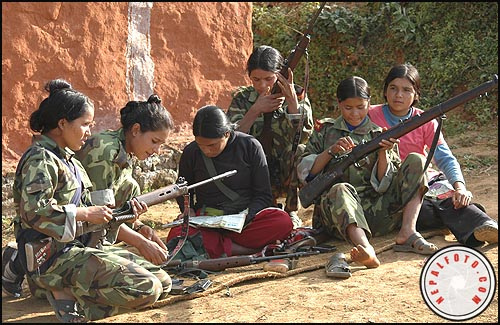 Some analysts say that a brutal repression over Maoists is being set up in the near future. The new issue of Red Star has just appeared. We will be posting a number of its most significant articles on ourRevolution in South Asia site. The political conflict in Nepal is sharpening. The conflict between two different types of forces, one wants to go forward from the present transitional phase, and the other wants to stop things where they are at present. This conflict has emerged just before the process of drafting a new constitution. Three years ago, the CPN (Maoist) and seven other political parties had reached an agreement to restructure the country through the Constituent Assembly (CA). Later, when the King surrendered and the seven parties came to power, the CPN (Maoist) agreed to a ceasefire and to hold negotiations. As the CPN (Maoist) is a Revolutionary Communist Party, its goals are clear; forward to a People’s Republic to Socialism and ultimately Communism. 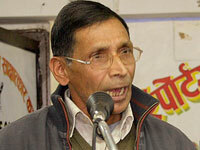 But the CPN (Maoist) had agreed to struggle peacefully and try to achieve its political goals according to the people. They had clearly stated that a Federal Democratic Republic will be a transitional phase and will proceed forward by peaceful means. A large majority of the Nepali people approved of the Maoist agendas and the CPN-(Maoist) wants to establish a more people’s oriented republic, a republic orientated towards the people. The new issue of Red Star has just appeared. We will be posting a number of its most significant articles. The largest party in the Constituent Assembly (CA), the CPN-Maoist is going to hold a national level party cadre meeting from November 9-11, 2008. About 1500 cadres up to state-level committee will be taking part in the meeting. The central committee meeting held in the first week of October has taken this decision. The meeting is not only the continuation of the regular gatherings of cadre from around the country; the meeting is far more important than that. It is preparation for a great debate on building a revolutionary party for the next party congress at the beginning of next year. After the meeting, the party will hold local level party meetings leading up to the national congress to ensure it will be well managed. Along with the debate on institutionalizing the federal democratic republic of Nepal, the debate will be about revolution, reformism, the parliament and the status quo. Because the CPN-Maoist is a revolutionary party as well as the leading party in the government and the largest party in the CA, the debate will naturally centre on the line and decisions of the CPN-Maoist. The new issue of Red Star has just appeared. We will be posting a number of its most significant articles. This article appeared in the Red Star. 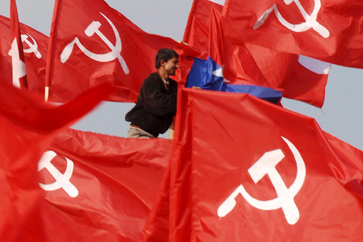 The CPN (Maoist) is going to hold a party congress at the beginning of the next year 2009. The decision to hold a party congress has created much interest among the common people as well as party leaders, cadres, sympathizers and well wishers. Along with debating about the federal democratic republic with multiparty competition, the CPN (Maoist) has initiated a great debate within the party. This is a new experiment; the party has allowed a two line struggle in the form of a written document before the commencement of the congress. Historically, different opinions are allowed only in party congress. 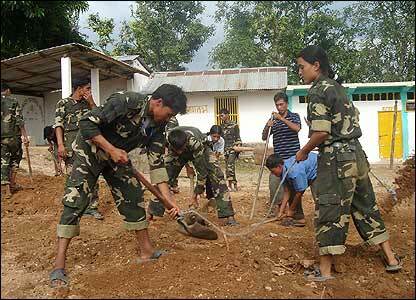 It clearly shows that CPN-Maoist is in a strong position to conduct its two line struggle in a well organized way. This is a new experiment in the 21st century. Kasama received the following press release. Progressive members of the Nepali community in the Americas, particularly in North America, have created an organization – the Progressive Nepali Forum in the Americas (PNEFA) – with the objective of contributing to the movement for social justice in Nepal and abroad. The organization responds to the increasing Nepali diasporic population in this part of the world. PNEFA seeks to promote sense of social responsibility among Nepali Diaspora by providing information and analyses about discrimination and exploitation in Nepal. Most importantly, we aim to link Nepalis living abroad with the social justice movement in Nepal. We also believe the experience and information we obtain in North America is worth sharing with our fellow Nepali people, academics and organizations in Nepal for the cause of progressive transformation of Nepali society. We especially seek to support activities intended to do away with unjust social, economic and political discriminations and exploitations upon the historically marginalized, working-class Nepalis, who for so long have been excluded from the already limited avenues for development. Call from the Philippines: Resist U.S. Intervention! This article was published on the Philippine Revolution Web Central. American troops are permanently stationed in the country, contrary to claims that they are merely visiting. Since 2001, when the Bush regime cited the Philippines as its “second front” in the US’ global terrorist war, American troops have been pushing the Armed Forces of the Philippines (AFP) to wage war against various armed groups in Mindanao and have had bigger and broader involvement in these wars as well. American troops are involved in intelligence work, provide weapons and training to the AFP and directly participate in combat operations. Their permanent presence in the Philippines enables the US to prop up the puppet regime and protect US power in Southeast Asia. The US invokes the Visiting Forces Agreement (VFA)–an agreement it exploits and circumvents at will–to justify its troops’ continued presence in the country. The American soldiers’ permanent presence is camouflaged through “joint military exercises” that are held several times a year. Democratic Republic or People’s Republic? 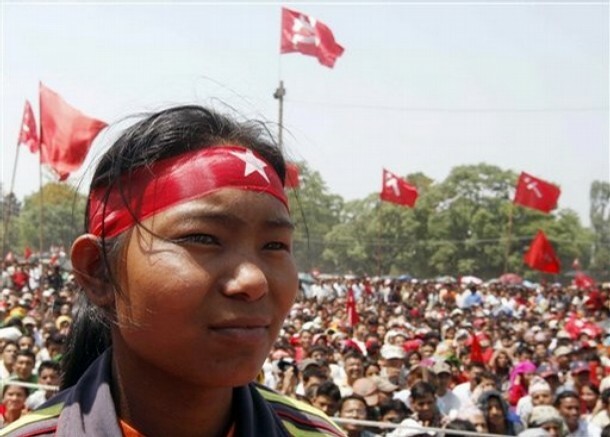 Democracy and Class Struggle is pleased to publish a report from comrade Harry Powell in Nepal. 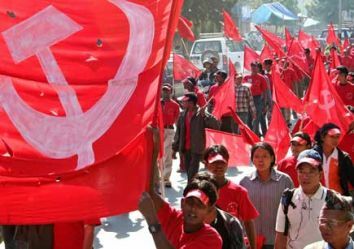 The Communist Party of Nepal (Maoist) is engaged in a sharp two line struggle over the way forward for the Nepalese people. On one side are those, such as Comrade Kiran, who want to proceed rapidly to the establishment of a new democratic type of regime. On the other side are those such as Comrade Prachanda, Party Chairman and Prime Minister, who seem to be envisaging a fairly long period of bourgeois parliamentary democracy which could eventually lead to some sort of new democracy. This interview mentions the “party’s tag” — by which they mean the word Maoist, that has always been part of the name of the Communist Party of Nepal (Maoist). The issue of the Party’s name is now part of a larger struggle over which road the CPN(M) will not take. The interview was originally published by Naya Patrika Daily, October 21, 2008. It was posted online by Democracy and Class Struggle. You are considered as a hardliner in the Maoists’ Party. Tell us briefly where and on what account you differ sharply with the party? Kiran: I feel that conspiracies are on to foil the Maoists’ established credentials. After I was released from the Indian prison, talks of artificial division in and among the hardliners and the liberals have cropped up. I think specifically the revolutionary ideology of the Maoists is being targeted deliberately. The trend has been that if one talks on ideological grounds he or she is labeled as a hardliner. As far as differences are concerned, I do not have any objection to the party. And of myself who would always tell my mind without hesitation. However, the moot questions remain intact. There is the great danger that in the name of liberalism whether the party will loose its basic ideology? Are we forgetting our commitments? Whether our commitment to National Sovereignty is on the continuous wane? Is the party falling into the trap set by the Rightists? These are not my personal concerns, instead should be the concerns of the party as a whole? A senior leader of the CPN (Maoist) Mohan Vaidya, who heads the organisational department in the party, has resigned as member of constituent assembly Tuesday. According to Naya Patrika daily, Vaidya consulted Prime Minister Pushpa Kamal Dahal, who is also the chairman of the party Monday before filing resignation. Vaidya advocates that one person must hold only one post. Vaidya said resignation was submitted according to party suggestions and has already been discussed in central committee and secretariat. He further said resignation would make him freer to devote on party affairs. When Maoist activist Sarala Regmi defeated the UML’s Bam Dev Gautam in Bardiya in the April elections, she was full of hope that a new Nepal was indeed being born. But her hopes were dashed a few months later when Gautam was nominated Home Minister in the coalition government. 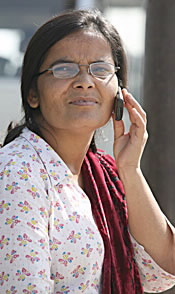 Regmi came to Kathmandu with high expectations that she would take part in the drafting of the new constitution. After years spent underground and facing the hardships of the war years, Regmi felt the Maoist election victory was a logical outcome of her party’s sacrifices. “No one knew how the elections would turn out, but the people rewarded me with their trust,” says 39-year-old Regmi. After she was declared the winner, every other contestant congratulated her except Gautam. When she came to Kathmandu, however, Regmi did congratulate Gautam on being appointed minister. In Kathmandu, Regmi soon found the backroom wheeler-dealing of politics unbearable, and the constitution-drafting process was delayed by wrangling over rules of procedure. Appalled by the lack of a sense of urgency among politicians, she returned to Bardiya. Kiran has been a major figure of the nepalese revolution from the beginning. As always, newspaper accounts need to be treated with critical thinking — as the air is filled with a great deal of disinformation (often combining factual nuggets with misleading conclusions). We are posting this because it describes an important development, but we urge readers to read such reports with a skeptical eye. This article appeared on Telegraph Nepal. The senior Maoists’ ideologue Mr. Mohan Vaidya Kiran Pokharel has submitted his resignation from the post of the Constituent Assembly Member in Nepal. 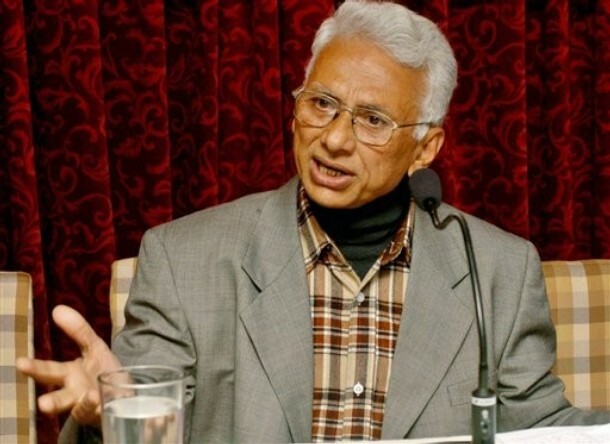 Mr. Vaidya, however, surprisingly submitted the resignation to the Prime Minister Pushpa Kamal Dahal who is also the Maoists’ Party president rather than submitting it to the chair of the Constituent Assembly. The Maoists senior leader in the recent days had been championing for retaining Mao’s name in the party and exhibited his public distaste over the visible deviation in the Maoists’ Revolutionary ideologies. 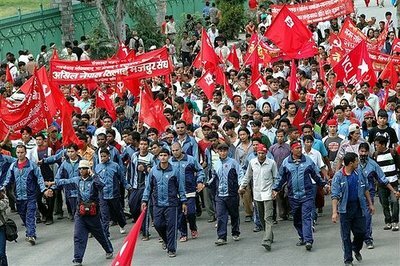 For obvious reasons, the reactionaries in Nepal hope that the revolutionary army can be dispersed and demoralized. They have tried to prevent the revolutionary soldiers from receiving food and pay, and they have tried to create conditions where these soldiers will just disperse back into civilian life. The survival and strengthening of this Peoples Liberation Army is a matter of life and death for the revolution in Nepal — and for the hopes of people watching this revolution. This article appeared on eKantipur.com. Many thanks to Doug for forwarding this to us. Many newspaper accounts from Nepal are not trustworthy. We are posting it here but urge readers to treat its assertions skeptically. DHANGADI, Oct 22 – Minister for Peace and Reconstruction Janardan Sharma on Wednesday informed that disqualified Maoist combatants, who have been residing in the Maoist cantonments across the country, will be evicted from there at the earliest. The peace minister, who spent last night at the seventh division camp of the Maoist combatants, said so while talking to journalists at the Dhangadi Airport before returning to the capital today. Minister Sharma, a former Maoist commander with pseudonym Prabhakar, said that the combatants who did not meet the criteria set by the United Nations Mission in Nepal (UNMIN) and disqualified the verification will be released after the division cantonments concerned forward plans for their rehabilitation.